The maritime sector is often seen as a catalyst for commerce, economic growth and nation-building, because of its link to imports and exports. This makes it critical to trade facilitation, hence the need to review key industry indices and forecasts to guide investments in the sector. The latest Maritime Industry Report 2019- 2020, released by the Nigerian Maritime Administration and Safety Agency (NIMASA), indicate that the nation’s blue economy could be the most competitive on the continent, as all economic performance indices show strong potential, although there is significant need for improvement. Tagged, “Harnessing the Maritime and Shipping Sector for Sustainable Growth,” the report, which projected 10 per cent growth for the sector within the year under review, tasks both operators and regulators to wake up to their responsibilities to drive the growth aspirations. In view of the untapped potential, there is a need for the creation of a friendly business environment, passage of some maritime bills currently pending at the National Assembly, and guaranteeing safe navigation on the nation’s territorial waters. 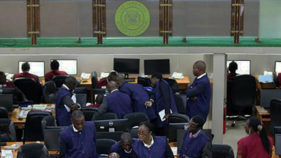 Indeed, the Oil Producers Trade Section (OPTS), Lagos Chamber of Commerce and Industry (LCCI), acknowledged the importance of the forecast, which should be pursued to achieve the desired growth. NIMASA, which also shares this sentiment, said the full implementation of industry reforms, innovations, and vigorous pursuit of the blue economy agenda would help the sector achieve stability and growth. The shipping industry watchdog berthed the first edition of maritime forecast in 2018-2019 with data, which lends credence to the fact that it is indeed a vital aspect to the Nigerian economy. The 2019- 2020 edition shows the industry has the potential to contribute at least 10 per cent of Nigeria’s GDP in no distant future. It placed Nigeria as the biggest market in Africa, and generates about 65-67 per cent of cargo throughput in West Africa, while 65 per cent of all cargo heading for other regions will most likely end up in the Nigerian market. The industry forecast also noted that for Nigerians to actively participate in the maritime and shipping sector, asset acquisition and human capacity development are important. Director-General, NIMASA, Dr. Dakuku Peterside, who expressed the hope that the outlook would bring about sustainable investment in the sector, assured that the agency would continue to push for reforms to develop indigenous capacity to ensure a high level playing field for operators, adding that the 2019-2020 period is full of hope for investors. Noting that the drivers of the macroeconomic outlook for 2019 include the general elections and its aftermath, prices of crude oil and policy imperatives such as fiscal, monetary and regulatory, Peterside disclosed that the forecast model adopted projects an increase in demand for maritime services in Nigeria against global and domestic economic conditions. On the regulatory aspect, he said it is expected that the Suppression of Piracy and other Maritime offenses (Anti-Piracy) Bill, and a host of many others, will be passed into law within the eighth National Assembly, to provide a robust and detailed framework to criminalise and punish piracy and unlawful acts in the Nigerian sea domain. These bills will give further expression to the relevant provisions of the International Maritime Convention on maritime security to which Nigeria is a party, while providing the necessary assurance to foreign investors that the country, and the Gulf of Guinea to a large extent, is a safe hub for International trade. Furthermore, stakeholders are also faced with other challenges including funding, ethnological change, supply of specialised maritime industry skill-set, and efficiency of ports and shipping companies amongst others. To address the funding gap, Peterside, who argued that the Cabotage Vessel Financing Fund (CVFF), is not adequate to handle the huge demand for maritime assets, said the Agency is working with the Central Bank of Nigeria (CBN), and the Federal Ministry of Finance, to push for funds at single digit interest rate. “NIMASA is looking at other Ship Financing Models. That is why we have been engaging with government at the highest level to push for special intervention fund, special interest rate and other incentives that will drive optimal performance in the sector. We shall not relent in our drive to put the right framework together to help beneficiaries and investors have good return on investment. The country is also making huge investments in human capacity development in the sector, which means that more Nigerians will get involved in shipping especially in shipping operations,” he stated. Despite the prospects, the maritime sector in 2019 may be constrained by the tightening of funds with a budget proposal of N8.83 trillion against the N9.12trillion appropriated last year. Also, growth in the global maritime sector is expected to slow over the next five years with crude oil projected to decline by 0.1 per cent, containerised trade is estimated to decline 0.4 per cent and seaborne trade by 0.2 per cent. But total fleet increase is projected at slightly over four per cent growth for both 2019 and 2020. The baseline forecast is based on the 2018 outcome and 2019 Economic Recovery and Growth Plan (ERGP) for total trade and foreign reserve. 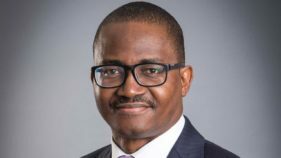 The forecast also anticipates that total trade will increase to N28.55 trillion in 2019, and N30.11 trillion in 2020, with foreign reserves at $44.7 billion and $61.7 billion during the same period. NIMASA has an optimistic projection of a 0.67 per cent increase in 2019, and maintained through 2020. NIMASA’s previous outlook, which projected a 0.66 per cent growth for oil tankers, and 3.21 for non-oil tankers in 2018, almost matched the actual growth of 0.71 for tankers and 3.0 for non-oil tankers. The Minister of Transportation, Chibuike Rotimi Amaechi, who also hailed the idea of data sharing, said having an investment guide would be of immense help in navigating through successfully. Amaechi said the Nigerian economy holds many opportunities, adding that in the maritime sector alone there is focus on sustainable use of ocean resources for economic growth, jobs and ecosystem health. “This concept referred to as the blue economy holds the key to streams of opportunities in the industry in areas such as: renewable energy, fisheries, maritime transport, waste management, tourism, and climate change. 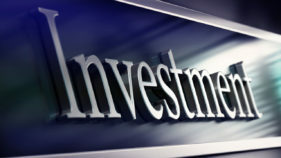 Wherever one is inspired to invest, the opportunities are limitless,” he stated. To underscore the prospects, NIMASA said the ongoing construction of the Lekki Deep Seaport is poised to increase maritime capacity for Nigeria, to serve as a hub for the West African sub-region, which would require (in addition to existing ports) linkages to the hinterlands by road and inland waterways. Other opportunities, according to the report lie in financing and acquisition of assets for coastal and international trade, manpower development, maritime safety, ship building/ repairs/recycling, marine insurance and support services. “The fact remains that there are loads of opportunities for investors in the maritime and shipping sector regardless of whether you want to play in the financing space, leasing or service sector. Wherever you want to step into, the space is huge and the return on investment enormous,” it stated. In the area of acquisition of assets, NIMASA is seeking government intervention in a number of areas to enhance the competitiveness of Nigerians in trade facilitation. These are Review of trade terms (Export and Import); dedicated intervention fund for vessel acquisition and ancillary service; special interest rates (single digits) for maritime assets acquisition; establishment of Maritime Development Bank; special duties for shipping imports; and review of fiscal policies.